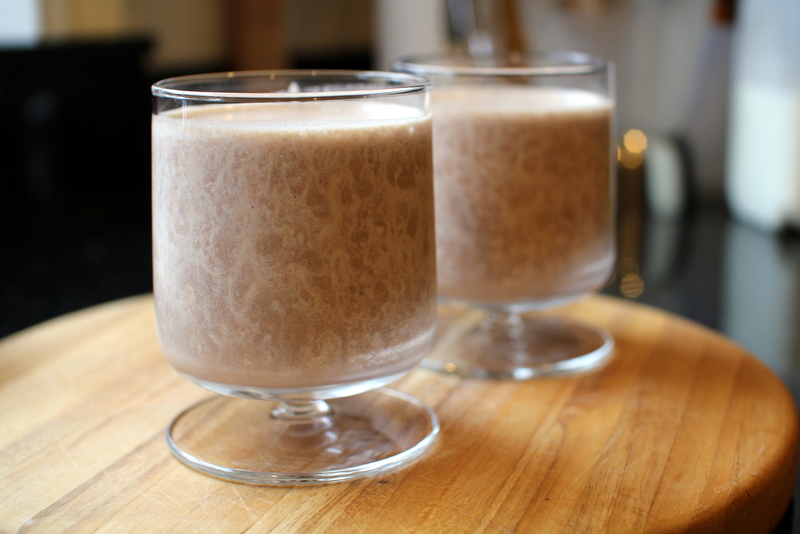 PBCB Shake [Recipe] – Cin Cin, Let's Eat! A few years ago, Starbucks came out with their “Vivanno” drinks. One of them caught my eye immediately due to my love for the delicious combination of chocolate and banana. 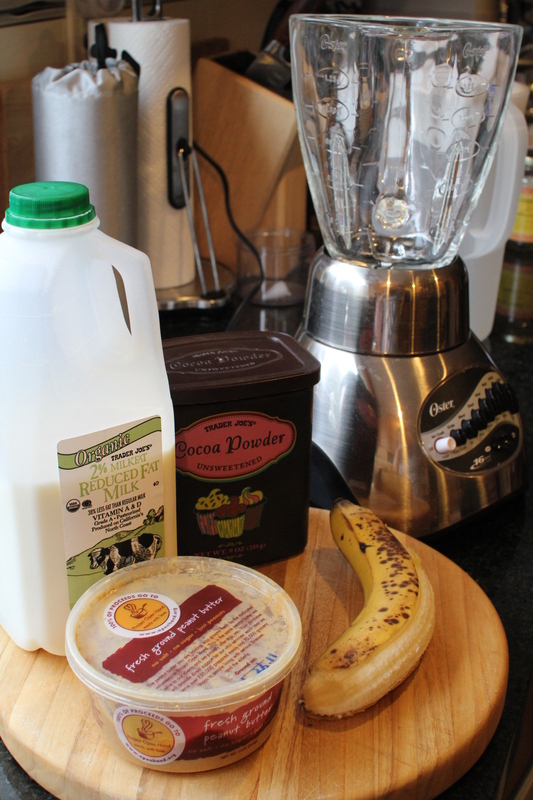 Yes, it was the Banana Chocolate Vivanno Smoothie. I just had to try it! I instantly fell in love with this drink. It satisfied my craving for a milk shake yet it doesn’t have nearly half the calories of one. The second time I ordered it at Starbucks, I stared at the Barista who prepared my drink and jotted down mental notes. It’s so easy that anyone has a blender can make it. I blend up this concoction at home all the time. It is a great way to get my dose of calcium and potassium, also a great way to use up those ripe bananas you don’t know what to do with. Sometimes when I crave for something slightly more decadent, I add a spoonful of peanut butter, making it a “Peanut Butter Chocolate Banana” shake. Because it’s such a mouthful to say it, I call it by its acrynom – PBCB shake. Blend it all up, and voila! Starbucks adds whey protein and fiber powder. You can certainly substitute the cocoa powder with chocolate whey protein powder. Starbucks also has the option to add a shot of espresso to this drink. If you want to add espresso, I suggest leave out the peanut butter. The banana is already very sweet, that’s why I use unsweetened cocoa powder. I also use organic ground peanut butter that does not contain any added sugar. I like my shakes/smoothies thick but not the kind that a spoon is required. Feel free to adjust the recipe with more or less of the ingredients. I usually just eyeball everything. If you feel extra indulgent, a scoop of vanilla or chocolate ice cream will do the trick. Add the milk to the blender first, ice last. This will help with the blending process. yummm!! I definitely want to give this a try, especially in this hot weather!